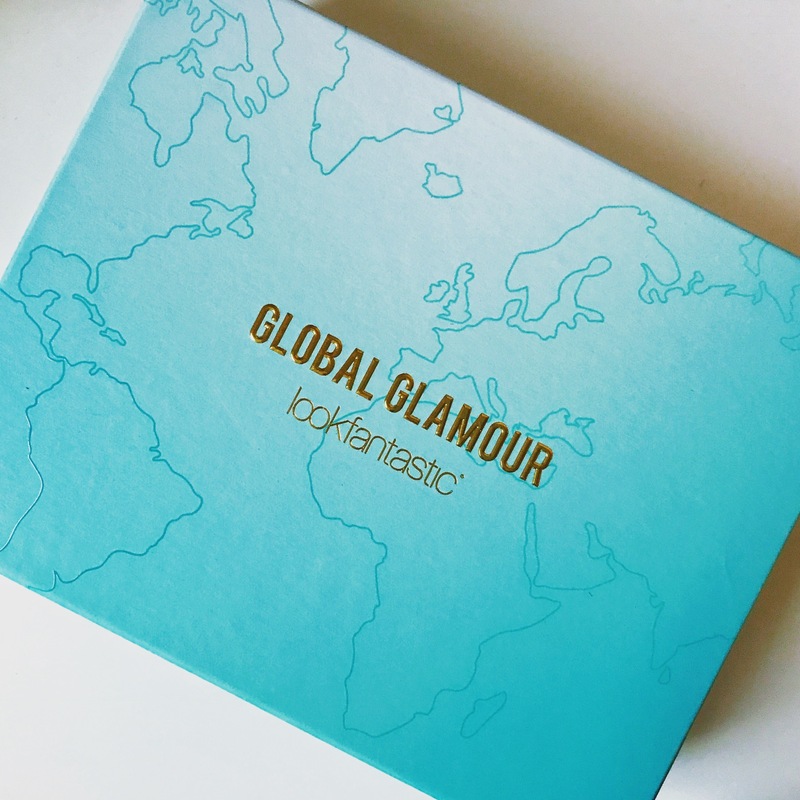 This month Beautybox from Look Fantastic has the theme Global Glamour and packaging is just amazing! A copy of Augusts Elle magazine worth £4.30, Love Love Love! Gentle Silk Toner from French brand Gantineau: A little bit much floral and fragrant for my taste. 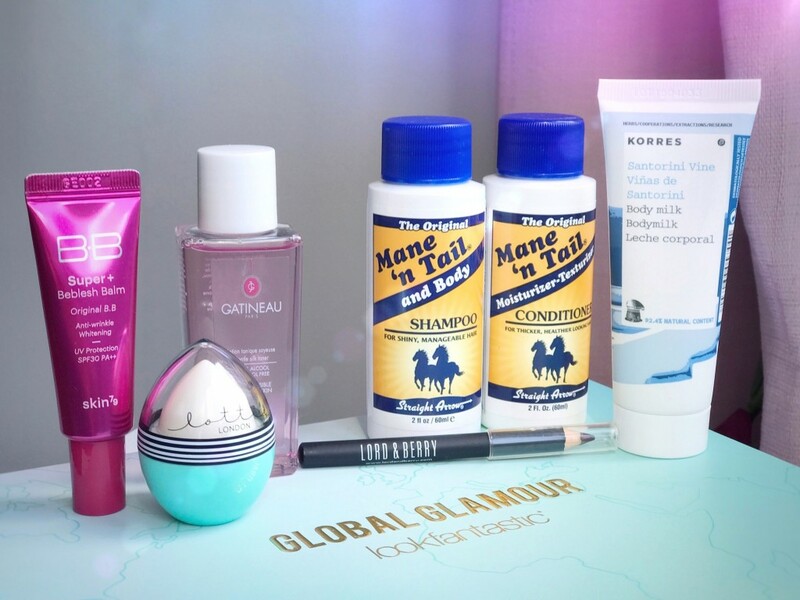 Mane ’n’ Tail – Shampoo & Conditioner: This I haven’t tried yet. The recent is fresh and clean. The ORIGINAL horse to human crossover shampoo that helps to maintain and achieve fuller, stronger, longer, healthier-looking hair. Since celebrities like Jennifer Aniston and Demi Moore swore by it, it has become an essential in every girls bathroom. Moisturising Body Milk from Korres (Santorini vine): this feels lovely on skin but a little bit masculine in the scent for my taste so this my husband got:-).The combination of Almond oil, active Aloe, provitamin B5 and Shea butter provides long-lasting hydration while enhancing skin suppleness. Lottie London – Balm Ball Lip Hydrator (caramel apple): This is adorable and the scent is just amazing! Love it!This is suitable for dry lips and has a unique egg-shaped applicator. Paraben-free, Vegan Friendly and Gluten-free. Skin79 – Super Blemish Balm BB Cream: This is going to smooth out the skin and does the skin brighter and glowing. Maybe Maybe…but fun to try out. Product description: Is cream is ideal for combined to oily skin and it works perfectly for sebum control. It contains adenosine and Arbutin ingredients that are effective for bleaching, wrinkle enhancement and growing more light and elastic skin. BB cream has become a hot new sensation all over the world. Skin79 Super BB Triple features in Hot Pink are one of the best selling BB creams on the Asian make up market. Perfect for those who have stingy skin, stains and dry skin. The cream is distributed through a pressure pump so that you get even when used. The combination of bone skin functions leaves skin soft and ready for additional make up programs or just worn as they are. It comes in a neutral beige color and had a nice, non-overwhelming scent and safe for sensitive skin.